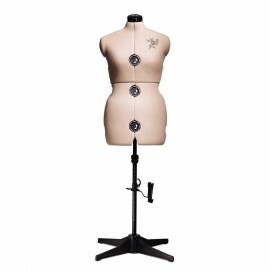 Seamstresses and designers always use sewing mannequins for their creations. 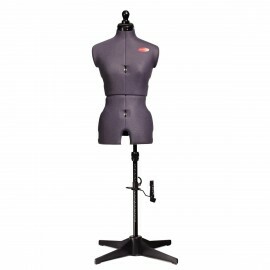 When it comes to create the perfect made to measure look, dress form sewing mannequins are great for pinning on fabric in order to create the dress or the pants with the perfect fit! Starting sewing as a leasure? Purchase your own dress form and make good deals! Find the ideal model for your sewing needs at Ma Petite Mercerie! 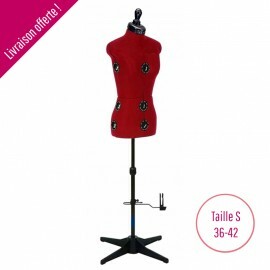 Adopte sewing workshop key tool by Ma Petite Mercerie: the dress form! Wish to create some Haute Couture inspired clothes or stitch made-to-measure outfits? Purchase our Sewing dress form! 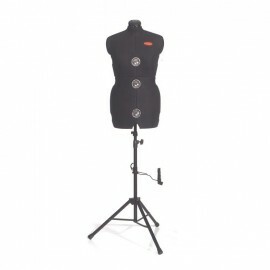 Your online fabric store offers a wide range of professional body forms for you to adapt to your shape. Available in purple, black, anthracite, red, vintage or modern, you will fell in love with their perfect fit and shape. Order your dress form today and enjoy worldwide free delivery and one year warranty. Looking for gift ideas for professional sewers or pins and needles lovers? 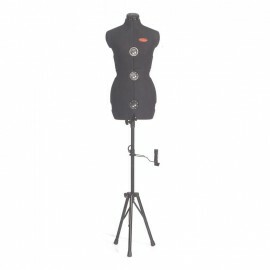 Dress form mannequin for sewing is THE answer! Thanks to its rotatable multiple piece body with or without pink cushion in the neck area it is practical and adjust perfectly to copy and imitate your body shape. Tired of drawing your sewing pattern on your fabric with dressmaking pattern paper? Start modelling your very own outfit with scissors, pins and fabric. Purchase cotton muslin fabric and use our draping tape and pins to create the shape you like. Wish to sew outfits for your entire family? Adjust your dress to match each member of your household and sew a cute made to measure dress for your small daughter and a nice sweater for your old uncle! Plus, Ma Petite Mercerie supplies you with a large selection of sewing accessories: threads, sewing machine, needles, braid trimmings, bias binding, piping and so forth. Choose the best apparel fabric and design your own clothing line. Discover our perfect poplin, muslin, linen, jersey, lace, georgette or seersucker fabric to stitch made-to-measure dress, skirt, shirt or pants. Help yourself with our sewing accessorize: braid trimmings, piping, satin ribbon, lace and start your modelling business in fashion.